In science, some concepts and ideas are so complex or abstract that they defy definition. In order to proceed and communicate, the researcher is often forced to propose an operational definition that seldom satisfactory in the deeper sense but gets the job done in the short term. If the operational definition strategy is still not workable, then an alternate approach might be to talk all around the central, indefinable concept in an attempt to at least triangulate the boundaries of the indefinable--kind of like using the donut to define the donut hole. Obviously, this is not just a challenge in science. 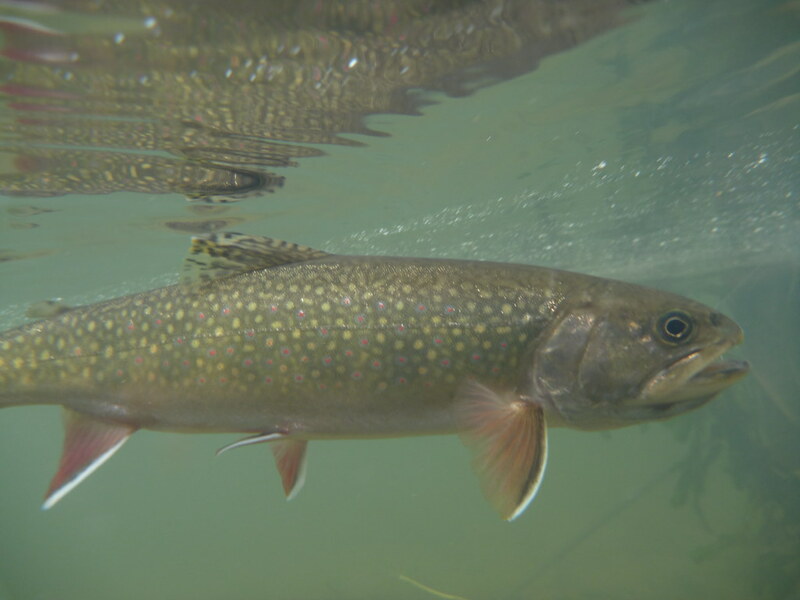 The reason we fly fish must be equally hard to communicate and define based on the number of words dedicated to the task in numerous films, videos, articles, essays and book chapters. I'm not quite the fool to propose that I have an answer to this question but let me try to describe a fisherman and scientist that I greatly admire in an attempt to draw the beginnings of the boundary around "Why we fish." The fisherman/scientist I want to describe is Dr. Paul Williams. Several years ago, he developed a particular strain of plant from the cabbage family to help him carry out his research on plant diseases. The plant is small, easy to grow and goes from seed to seed in about 6 weeks. The characteristics that he bred into this plant to help him carry out his research program also, coincidentally served very well in the science classroom as a model organism to help students develop an understanding of biology in general and plants in specific. Paul and his colleagues recognized this educational potential and the Wisconsin Fast Plant program was born. I've been growing these plants in my own classrooms since the late -80's and have attended many workshops at UW Madison to explore the potential of these plants to help students develop as young biologists. 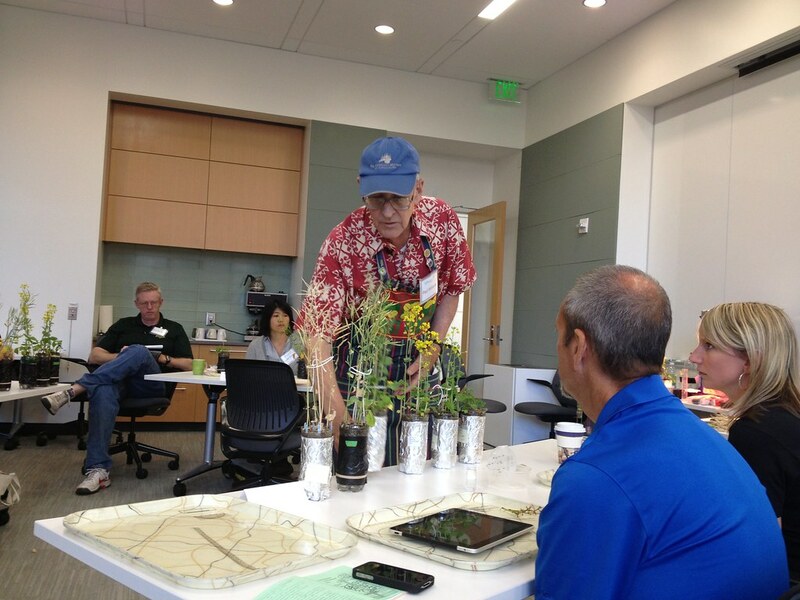 Paul has become something of a legend as a scientist/educator among biology teachers. He's now long retired but still active doing workshops, developing new ideas and promoting good science education. About 10 years ago, at a Fast Plant workshop, I stopped by his house in the evening to visit. 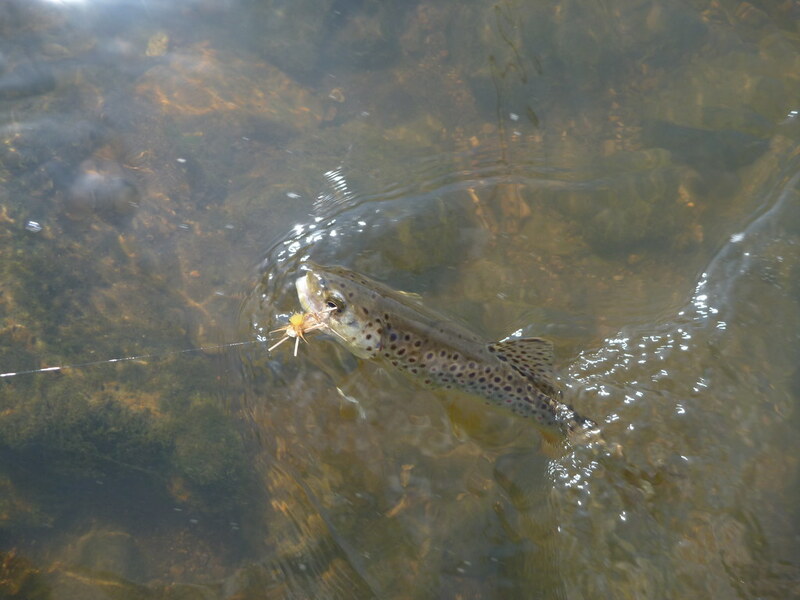 He asked me about what I had been doing and the talk shifted to fly-fishing. I happen to mention that I thought fly-fishing was the "perfect" retirement avocation for a biologist. His eyes got a bit of a twinkle and he said, "Just a minute, I want to show you something." He disappeared into a closet and brought out a rod tube with a bamboo rod (at least that is what I remember) and some hand-tied flies. By "hand-tied" I mean by using his fingers as the vice, bobbin and all. He described, how growing up, he and his family were big into fly-fishing in British Columbia and how much he missed it. I had no idea he had a passion for fly-fishing and I asked him why wasn't he doing more fishing--especially since he is in Wisconsin. I got the expected answer, the kind of answer you would expect from a successful researcher who had started another career as a science education reformer---"Not enough time in the day." What many folks don't realize is that for someone like Paul, his work was also his passion and his play. As a biology teacher, I feel blessed in the same way but I also know that no matter how well matched your passions and your job are, there will still be times that pressure, tedium and the constancy of it all can begin to weigh heavily. It's times like that when I think another, separate and perhaps meaningless passion can serve to restore your energy and drive. With this in mind, I probably said something like; "You owe it to yourself and your family to make some to rekindle that love of fly-fishing." My basis for such a definitive statement was my own experience. My wife, 5 years earlier, dragged me into a fly shop where she proclaimed to the shop owner: "Set this guy up with a fly fishing outfit!" Without her very strong encouragement, I would have been oblivious to the restorative powers of the stream for an overly passionate biologist. (She was concerned for what might become of me with all the hours I was spending in front of a computer screen—my fishing was taking a back seat.) I thank my wife silently, every time I fish and cherish my time on the stream. I had a feeling Paul would too. But a couple of years later, at another workshop, I asked him again about fly-fishing and while he talked longingly of it, I got the feeling that he just wasn't getting out much. I hatched a scheme. 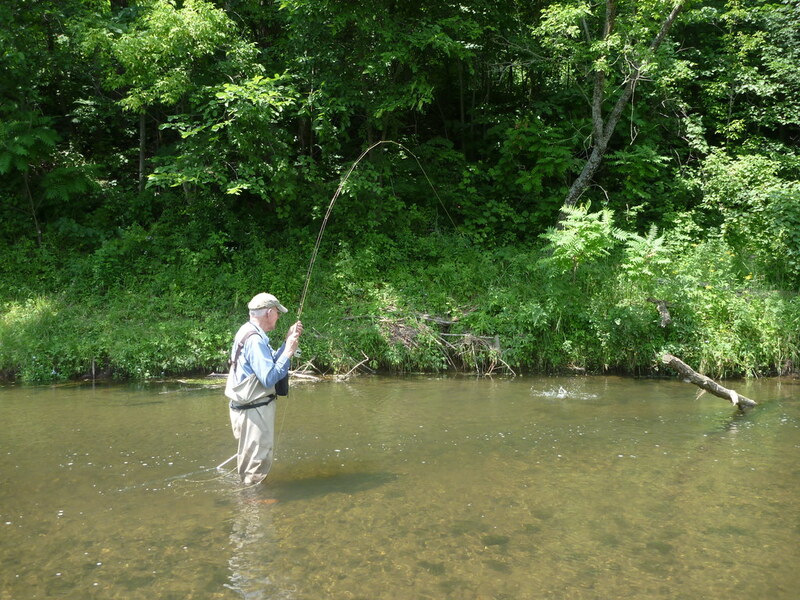 This is about the time that Tenkara fly fishing was introduced to the U.S. and it occurred to me that a Tenkara rod might just be the thing--the catalyst to get Paul back out on the stream. I had a rod sent to him and I've got to say he really took to it. 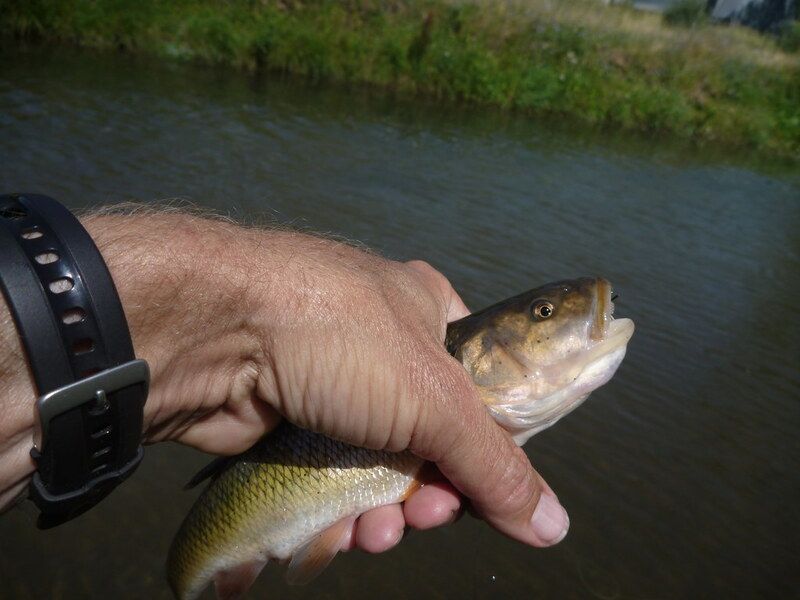 My guess is that he was already starting to fish again and the rod didn't make that much difference but I really appreciated it when he sent along a link to a trip report of a friend of his about fishing with his Tenkara rod. 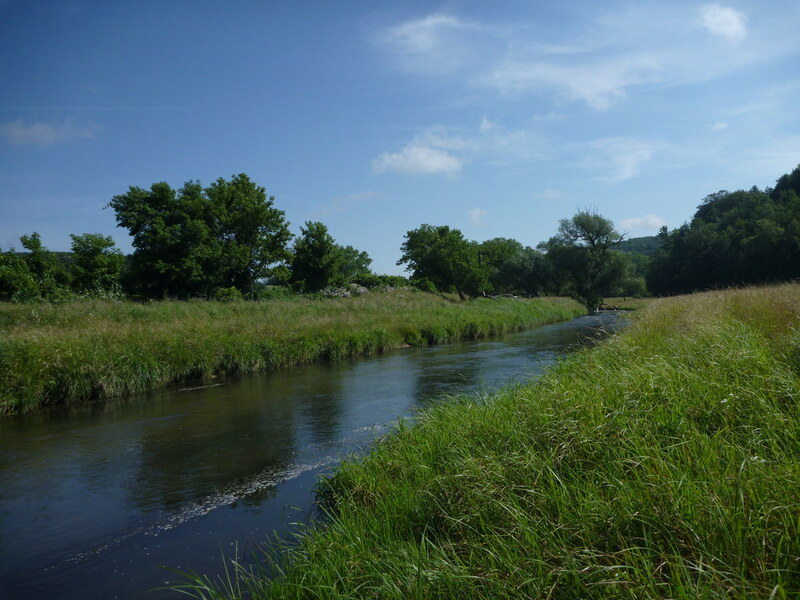 After reading that report, I hoped that some day I would get a chance to fish with Paul in one of those Wisconsin spring creeks. Naturally, trying to coordinate our schedules has been all but impossible but this summer everything fell into place. 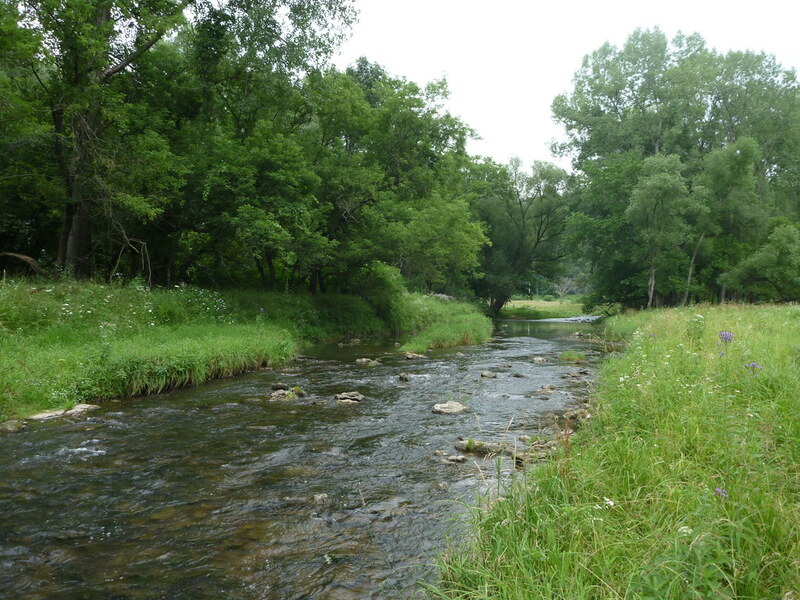 We pre-arranged to meet on a Saturday morning on the banks one of Wisconsin’s spring creeks. Hopefully, if the weather held we’d be able to share a weekend of fishing, just before another workshop in Madison. When I got there Paul had his camp set up and was already in the middle of the stream runs through the campground trying to entice a trout to rise. I didn’t even take time to set up camp since I sleep in the back of my pickup. 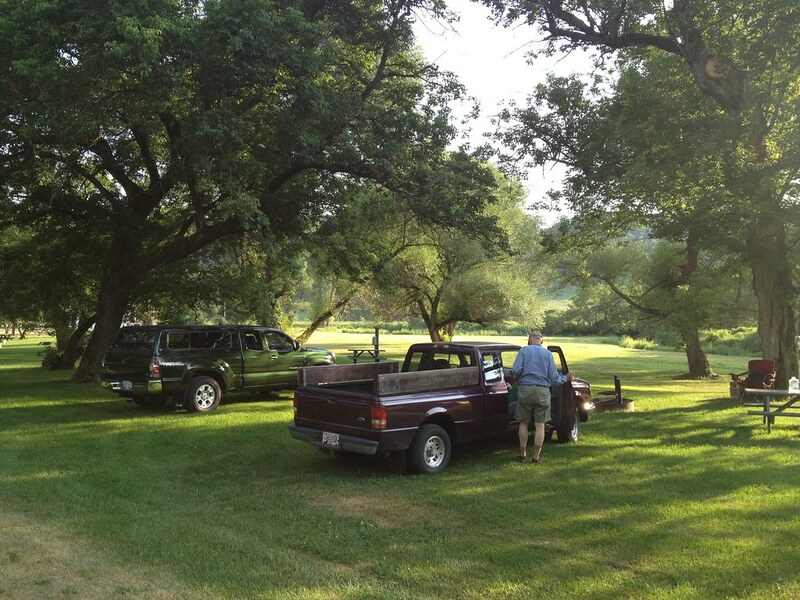 Without anymore wasted time (non-fishing time) we hopped in his pickup and travelled to one of Paul’s favorite spots. Along the way Paul pointed out several other potential spots—each with a specific landmark and name that he had assigned. His years of disciplined study and note taking as a scientist had obviously carried over to his fly-fishing. I knew that he had to have a notebook and asked to see it. I warned him I’d share a photo of it. He wasn’t too worried since it takes a bit of inside information to decode his notes but this page does give you an idea of the attention to detail Paul puts into his vocation and his avocation. Notice also how often he is now fishing. 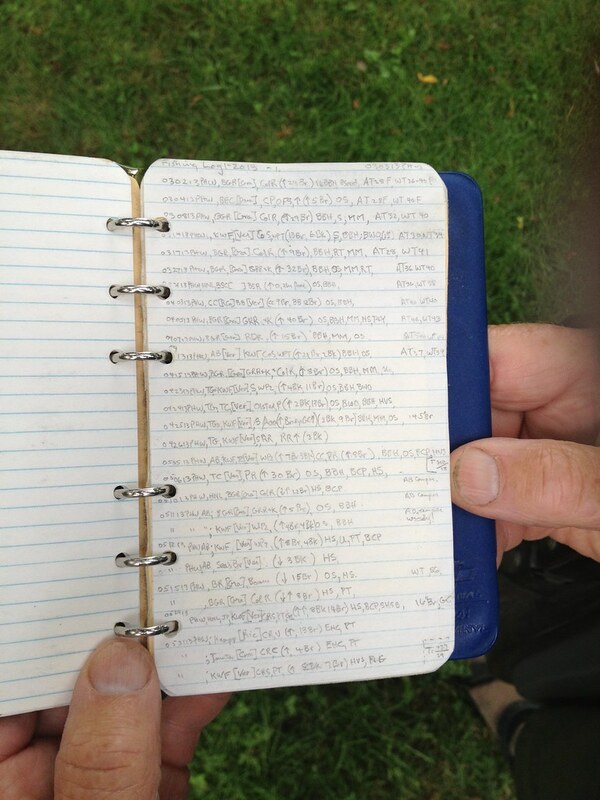 This was only one page of a half-filled notebook. As we approached the stream, Paul had already predetermined our strategy but we still took time to sit and observe what he called his “midge bar”. 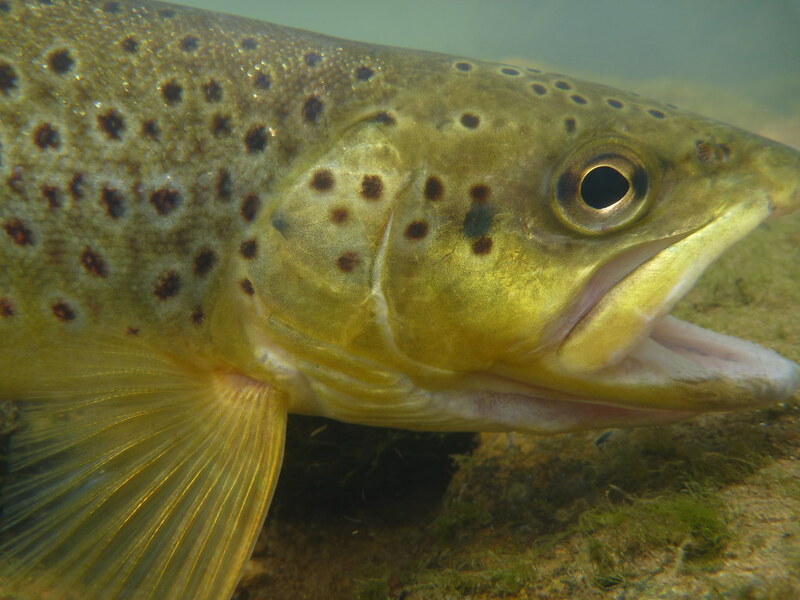 All along this slow pool, trout were rising to unseen insects. 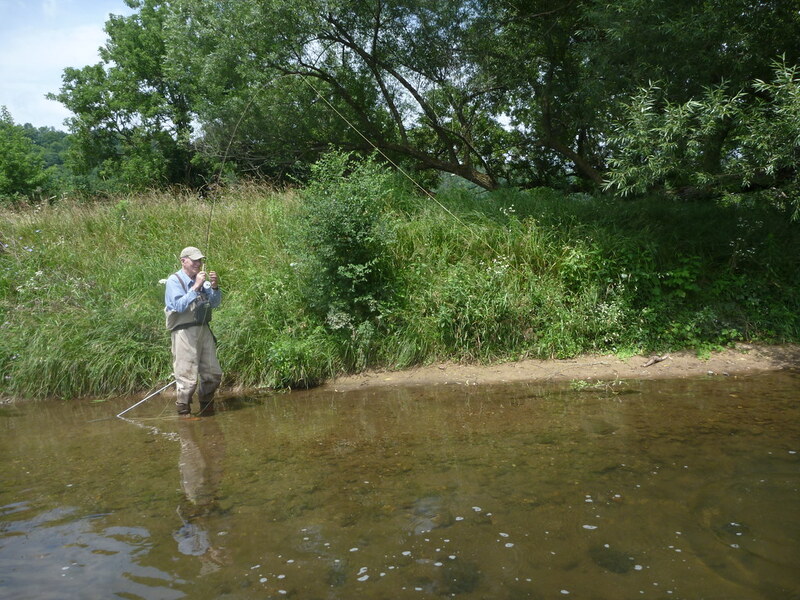 Paul described when he restarted his fishing passion he took the time to extract the stomach contents of the fish he caught and to his surprise found that the most prevalent item was midges. We didn’t fish with midges on this day—we didn’t need to. We did just fine with Elk Hair Caddis, grasshoppers and some Parachute Adams. Paul used a Hornberg special. 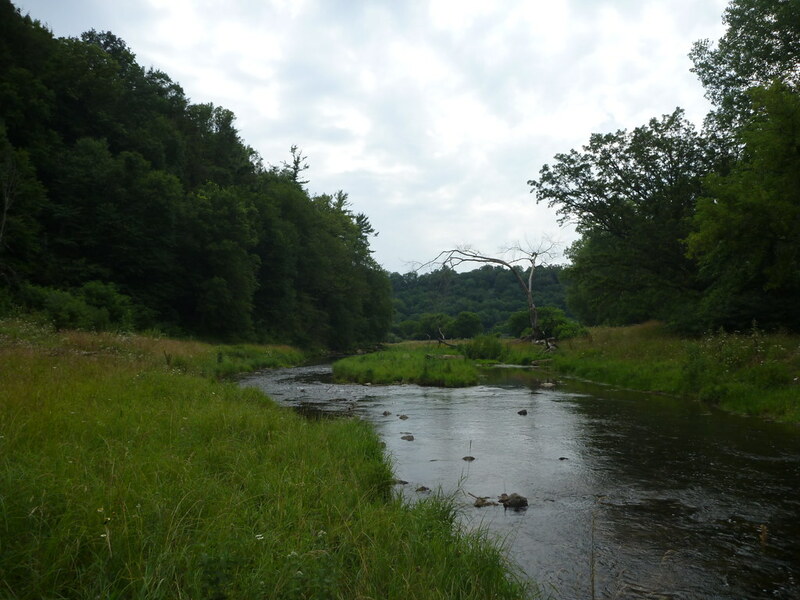 It was a true joy working along this beautiful stream alongside Paul--each of us catching some decent Brown’s and some Brookies. Naturally, as biologists we noted much beyond the fish in the stream. We talked about the bald eagle pair that nested near one of the deeper pools and used one of the snags over the pool as a perch presumably for fishing themselves. Both of us noted the Cedar Waxwings “hawking” insects over this stretch of water and immediately thought how that might inform our fishing. Along the banks of the stream, Jewel-Weed was beginning to flower. We turned over rocks to examine the aquatic arthropod fauna and marveled at the temperatures of the springs flowing into the streams. Paul, was a fount of information on how the stream dynamics had changed over the last couple of years. Not surprisingly, our little trip was not all that much about actually catching fish. Still, fishing was what we were doing. Both of us were deeply focused on fishing to the point that much of the focus was subconscious and at times wordless. People, who know both of us, will find that statement to border on hyperbole. Attending to detail while keeping the big picture in focus is truly a trait of a scientist like Paul. 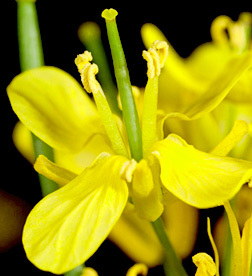 Where some see a small yellow-flowered plant he sees a universe of details and ideas to investigate. 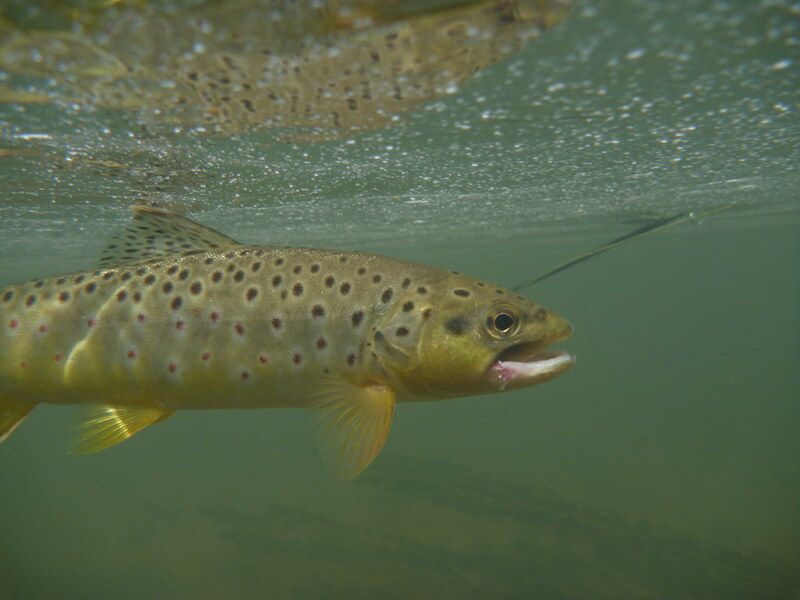 This trait carries over well on the trout stream. I found it interesting how the conversation at one point centered on how often we both fish alone and cherish that time but that we also enjoyed fishing with one or two other closely compatible fishing friends. This seemed analogous, to me, to the world of scientific research where most research today is done in cooperative teams. Still I find that most researchers also maintain and cherish their individuality and independence. The advantage of sharing a stream with a like-minded friend is that not only do you get to bounce ideas and observations off another—but usually that discussion stimulates many more ideas and observations. In short it is not only validating, it is a profound learning experience. I’ve said it before—I don’t fish for fish—I fish for questions. 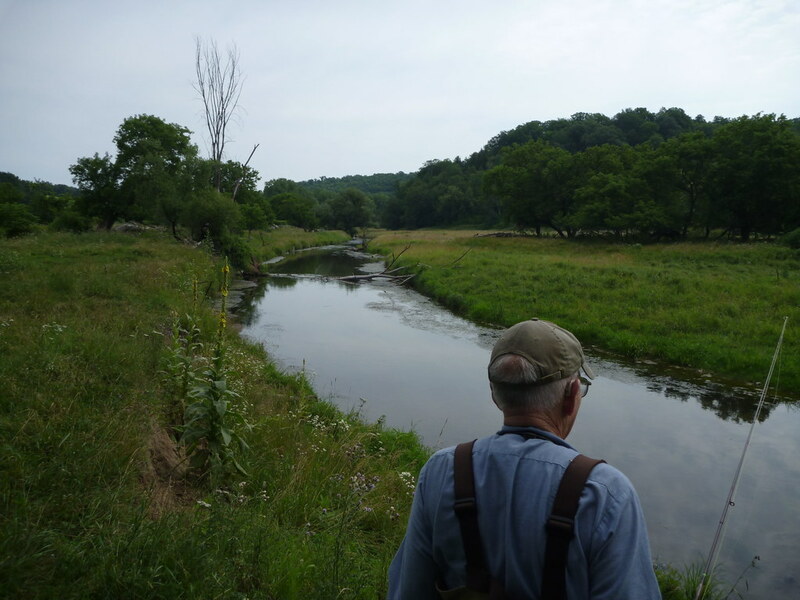 Fishing with Paul, in the Wisconsin Driftless, opened up an entire new universe of questions. And for that, I am grateful. Thanks Paul. By the way, I stayed an extra day to apply some of the lessons I learned from Paul. Looks like I'm going to have to go back up for more lessons.